Item # 155184 Stash Points: 12,999 (?) This is the number of points you get in The Zumiez Stash for purchasing this item. Stash points are redeemable for exclusive rewards only available to Zumiez Stash members. To redeem your points check out the rewards catalog on thestash.zumiez.com. 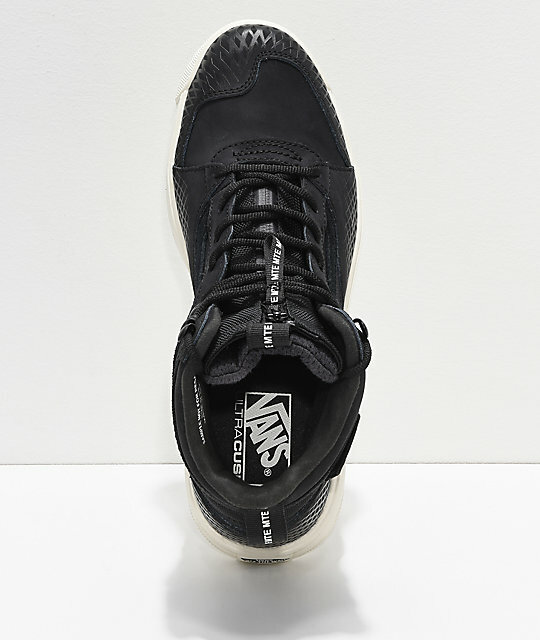 Go heavy duty with the UltraRange Hi DX Zipper black and marshmallow shoes from Vans. These boot-like shoes are loaded with features to keep you comfortable as you push past your own boundaries. They come equipped with a weatherized upper included with tongue guessets for a completely water-proof fit. The LuxLiner lining offers a soft tricot feel for a cozy fit while the Vans UltraCush outsole offers the best in support and protection from impacts. 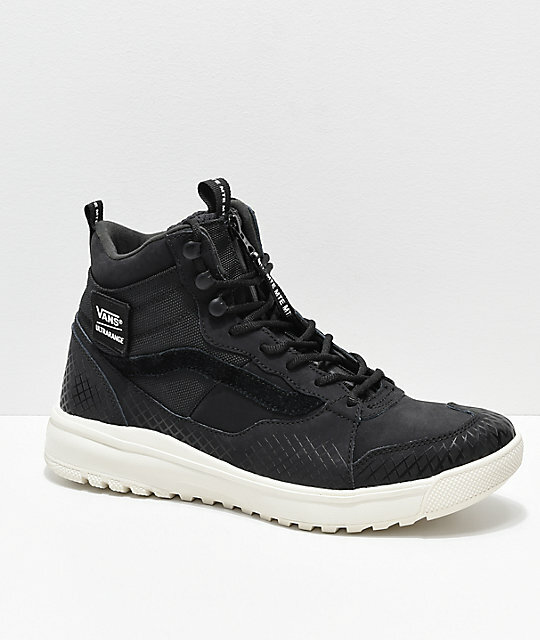 UltraRange Hi DX Zipper Black & Marshmallow Shoes from Vans. Weatherized leather, textile and synthetic upper. 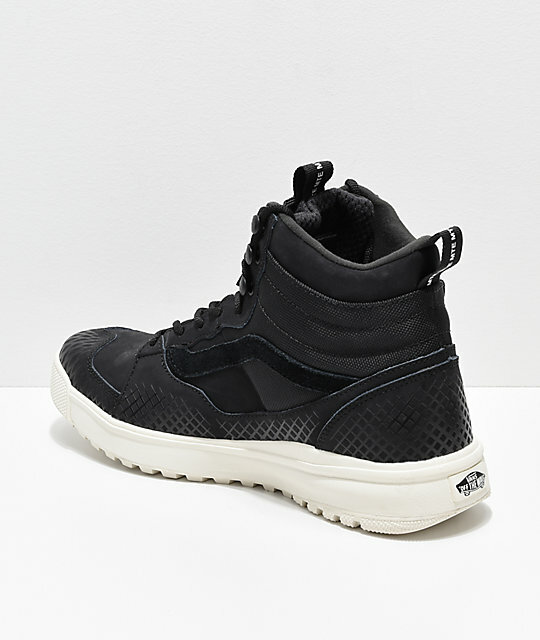 Lightly padded high top collar and tongue. Recessed eyelets with boot loops at the top and boot laces. Woven heel tab at back of heel. Gusseted tongue for a locked in fit.